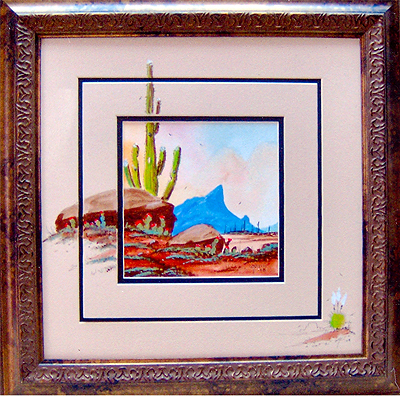 This square piece features a desert landscape theme. The Saguaro cactus is commonplace in the desert Southwest. It takes 75 years to grow its first arm. This piece has an interesting double-section mat with much of the painting spanning across the mat and giving the piece a truly three-dimensional feel.